WE EMPOWER YOU & YOUR FAMILY TO PLAY AN ACTIVE ROLE IN YOUR PAIN CARE. 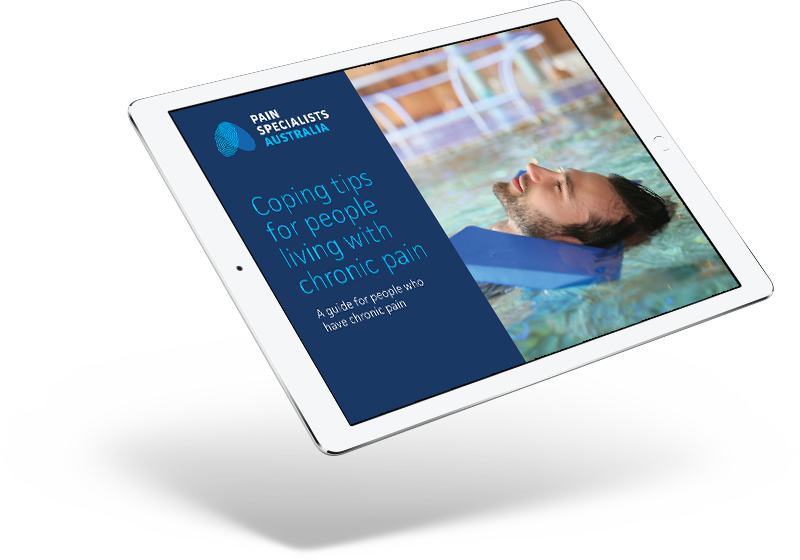 Pain is personal, so by working with you to understand how your experience affects you, we can give you practical steps that can help reduce its impact and put you back in control. If you've read about chronic pain or are experiencing it, you will be aware that pain management is a complex beast. You may feel frustrated, angry and fed up because your pain is so persistent. Assessing, diagnosing and managing pain is complicated and has led to a new medical specialist: the Pain Specialist. A pain management clinic includes a team of pain specialists that focus all their experience and resources on understanding, diagnosing and managing persistent pain. If you are experiencing chronic pain (pain that has lasted for more than 3 months) that is interfering with your ability to do things and enjoy yourself, and you are finding it hard to control, you should visit a pain specialist. See the comprehensive list of types of pain we treat to see how we can help. We believe that no one should suffer from pain. As one of Australia's leading pain clinics, we have made pain our world, which allows us to be leaders in reducing pain and the suffering it causes. The key to good pain management is the right treatment, at the right time, delivered by the right team of experts. Our clinic uses a range of chronic pain treatments from pain medication, therapy and lifestyle changes to the most technically advanced interventions and surgeries to give you the best possible pain relief outcome. We use modern pain-reduction techniques in a step-wise fashion, 'stepping up' to the next treatment if current treatment fails. As you step up to next treatment, it is more likely to help but it also carries more risk. On your first visit to a pain specialist, we will get to know your pain and how it is affecting your life. The more information you provide, the better equipped your pain specialist will be to piece together your pain story. Letter of referral from your GP or Specialist. All relevant scans and investigations like X-rays, MRI and CAT scans. Your completed Pain Questionnaire using as much detail as possible, and your Patient Consent forms. Depending on your pain diagnosis, your pain specialist will consider various therapies. Pain experts in the clinic will be engaged to support you in your journey. Please note: we generally run on time, so it's best to arrive 10-15 minutes early for your appointment. If you require a wheelchair within the building, please let us know in advance and we will be gladly assist you. Following a diagnosis, your pain specialist will consider various pain-reduction options, such as pain medication and treatment, which can provide significant pain reduction. We approach this in a step-wise fashion 'stepping up' to the next treatment if current treatment fails. As you step up to next treatment, it is more likely to help but it also carries more risk. Information sheets are available below to help you make an informed decision. Following an initial prescription, your GP will continue to manage your pain medications and ongoing prescriptions. You should review the ongoing need for your medications every 6-12 months. Prior to pain intervention treatment, please complete our Informed Financial Consent Cancellation Policy form. Once you receive treatment, we will ask you to track its effectiveness via a block assessment form. Pain Specialists Australia is a private pain specialist clinic. This means that you will be required to make full payment on arrival for your appointment. You will be able to receive a partial rebate from Medicare after that. Please note: to receive a rebate from Medicare, you will need a letter of referral from your GP or Specialist prior to your first appointment. Obtaining a rebate is the responsibility of the patient. See more about this in our Payment Policy. WorkCover and TAC patients are required to pay for their first visit, with the possibility of review being billed to the insurer dependent upon approval. DVA Gold Card holders’ accounts are sent directly to the Department of Veterans Affairs, and we ask that White Card holders please discuss their coverage prior to attending to assess whether they will be covered for the cost of their visit. Our pain specialists are highly trained and qualified, and strive to deliver an excellent quality of care and service to all our patients and their families; their consultation fees reflect the level of experience and training involved in caring for you. Our administrative team will contact you via a text message to confirm your appointment in the week prior to your booking date. If you are unable to keep your appointment, we ask that you please let us know as soon as possible to allow others the opportunity to attend the clinic promptly. Appointments with our Pain Specialists are highly sought after. For appointments with our allied-health staff (physiotherapy, occupational therapy and psychology), we require at least 48 hours’ notice for any cancellation or reschedule request. Our team treats all patients and visitors in a respectful, welcoming and professional manner and we expect our patients and visitors to do the same. We understand that many of our patients have been suffering for some time, but we do not accept inappropriate, aggressive or violent behaviour within the practice, and exhibition of these behaviours in person or via telephone or written communication will not be tolerated. Our pain specialists are dedicated to assisting patients in addressing their pain management concerns and working towards a positive outcome. Our doctors are are not available for the sole purpose of medicolegal consults, opinions or to assist in pursuing legal claims; however, when requested to compile medical reports for insurers, our doctors are able to do so.